Dining in Addis Ababa city. Let your senses be tantalized by a bounteous array of flavours and aromas. 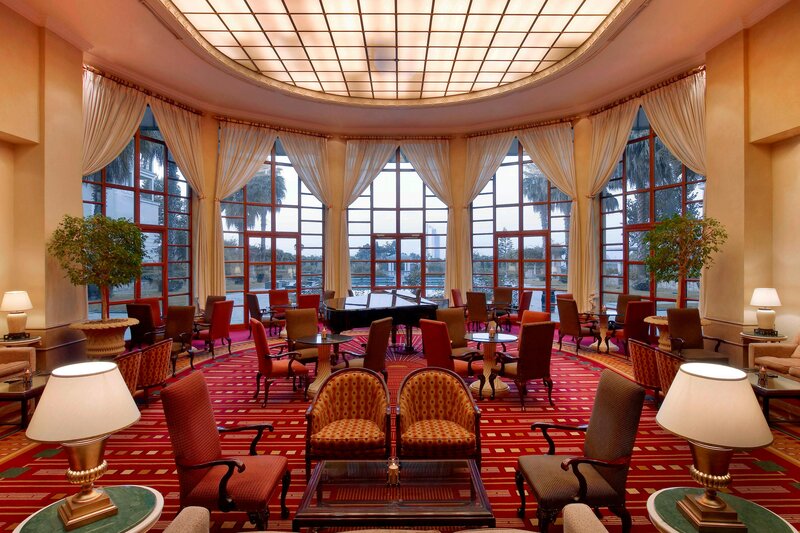 The Sheraton Addis Hotel offers eleven restaurant and lounge/bar options which will delight you with cuisine from all over the world and affords you choices from the finest restaurants in Addis Ababa. 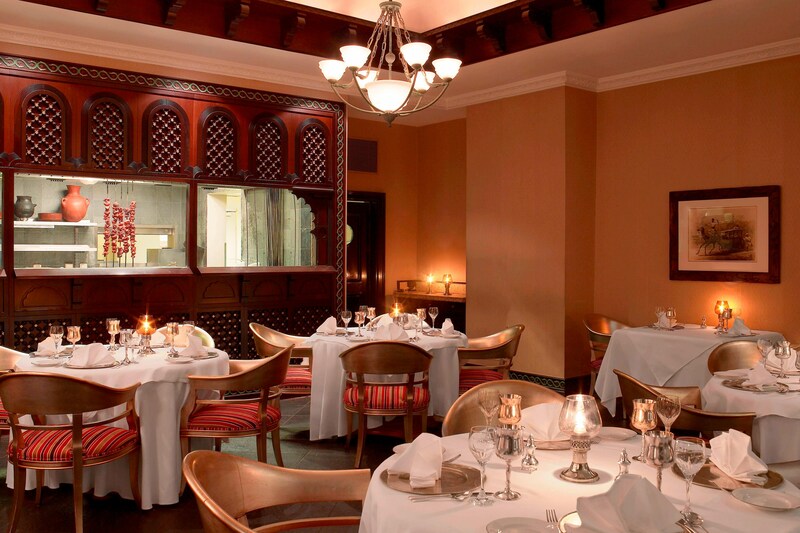 Enjoy the tempting aromas of Stagioni Italian Restaurant, or the exotic flavours of Shaheen Indian Restaurant. 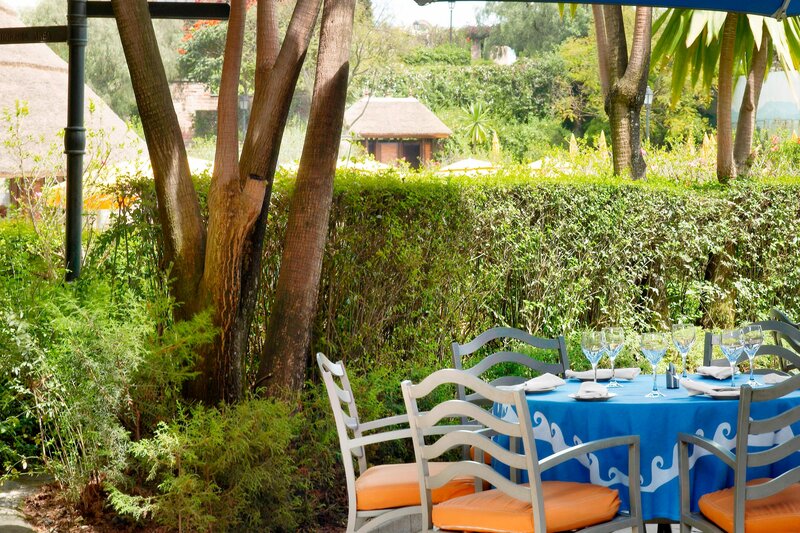 Summerfields Middle Eastern Restaurant offers mouthwatering buffets in a relaxed, less formal setting that overlooks the beautiful hotel gardens and also offers Ethiopian specialty cuisine for you to try. Les Arcades is available for exclusive private dining events, offering a variety of culinary masterpieces. Lighter snacks are available at the Fountain Court, while Baywatch Poolside Bar and Breezes Restaurant provide poolside refreshments. 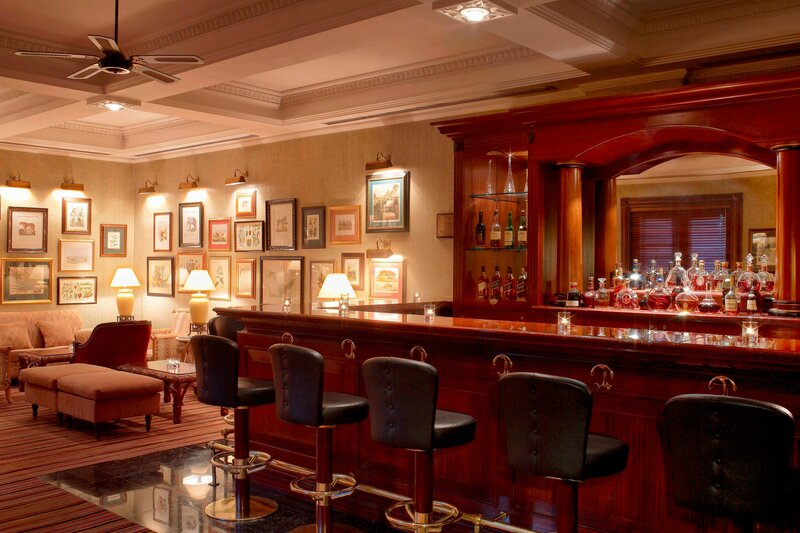 Guests can enjoy cocktails, conversation and relaxation at Stanley&apos;s Bar and The Office. Addis Ababa’s finest night club, Gaslight Night Club, offers an electrifying atmosphere for dancing and celebration to the sounds of Ethiopian and International music. An irresistible antipasto bar greets diners at this rustic and intimate gourmet Italian Restaurant. 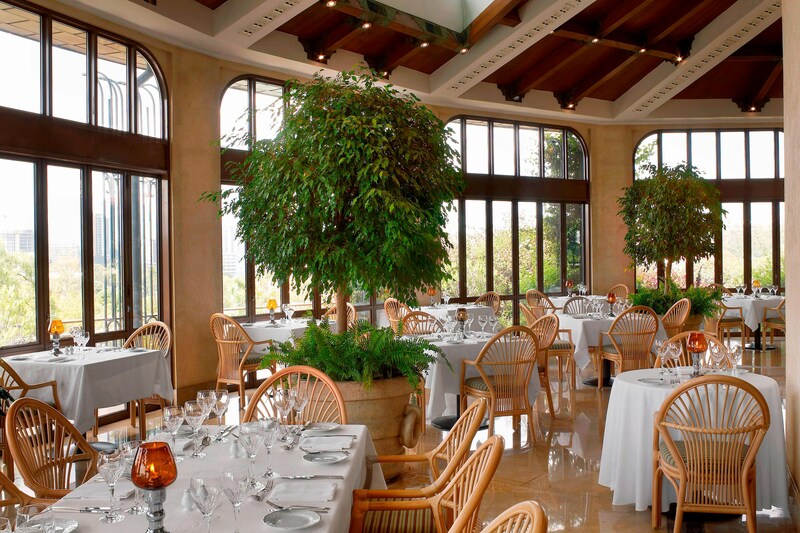 Enjoy breathtaking views while sampling a menu of familiar favorites and a variety of regional specialties from all over Italy. 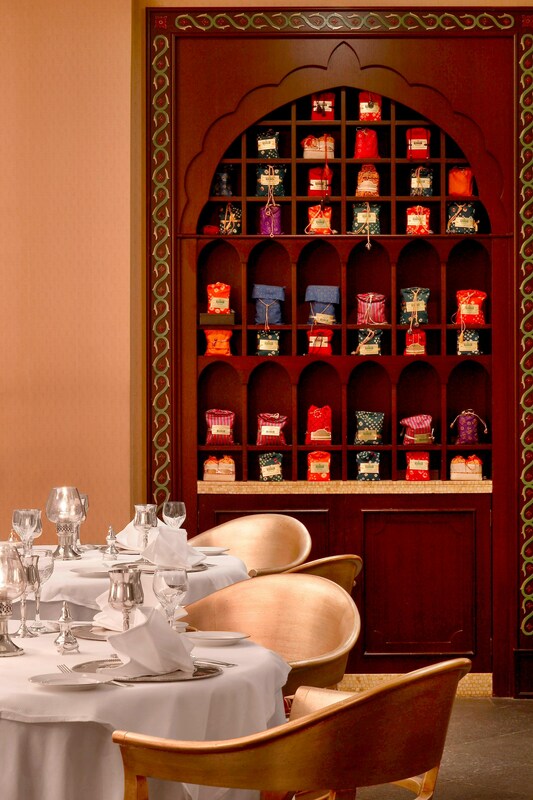 Our Indian restaurant takes guests back to the days of the Mughal and Maharajahs, serving authentic Tandoori specialties and other original dishes from Northern India. The open kitchen is an invitation to observe and learn from the talented chefs. 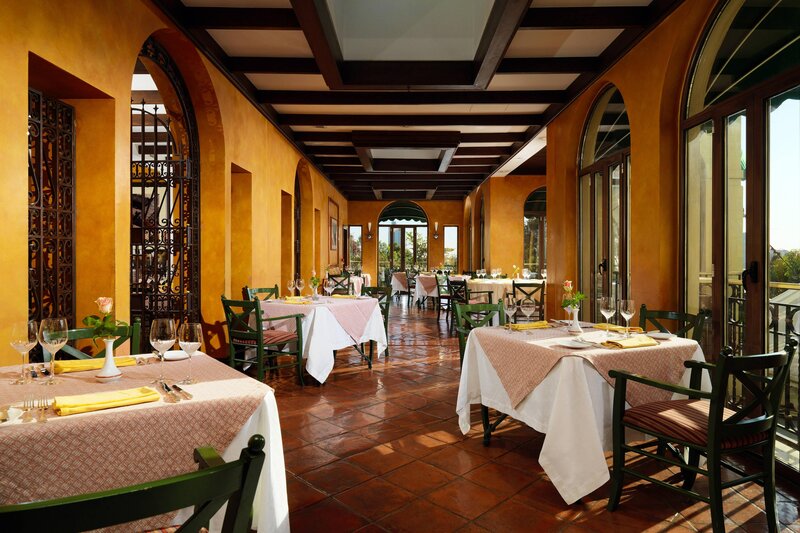 Step back in time throughout rich Ethiopian history and tradition at this favorite, classic joint. Dark wood paneling and rich leather banquettes create a warm, elegant atmosphere ideal for sipping cocktails in the company of friends. Tucked into the blooming landscape, our garden bar is a retreat for an afternoon break or an evening rendezvous beneath the brilliant night sky. In-room dining is available on a 7-day, 24-hour basis. Our expert chefs offer a full menu of gourmet meals, from Spanish omelets and Oriental Mezzeh to classic sandwiches and succulent main courses. We are pleased to guarantee a 30-minute delivery time. Picnic baskets for guests on-the-go are also available upon request. Our pool grill restaurant offers a wide variety of savory treats, from rotisserie grilled chicken, barbeque specialties to soft ice and frozen yogurts. Guests are invited to create custom pizzas straight from the wood burning oven. Enjoy light snacks, freshly squeezed juices or high tea in this spacious lobby lounge overlooking the central courtyard and musical fountain. Relax in comfortable armchairs and leaf through the latest periodicals and newspapers. 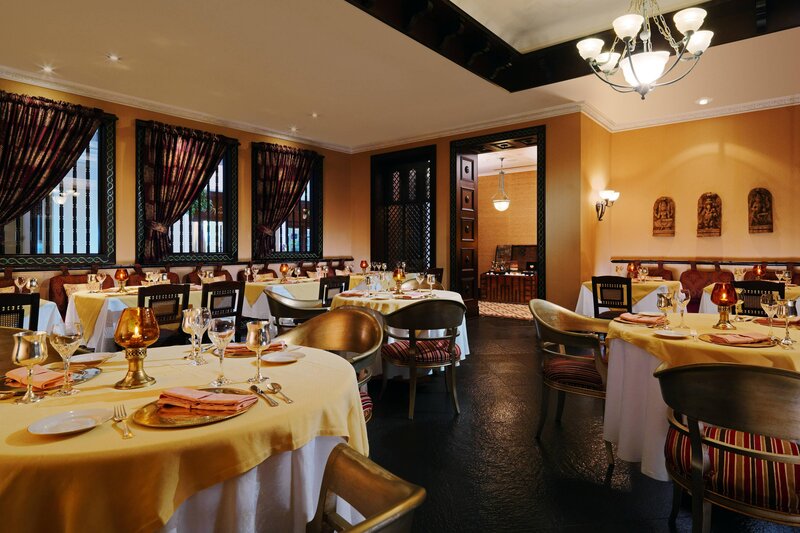 A feast for the senses awaits guests in this famed Middle Eastern restaurant, offering delectable à la carte dining along with sumptuous buffet options, to the tunes of Arabic music. 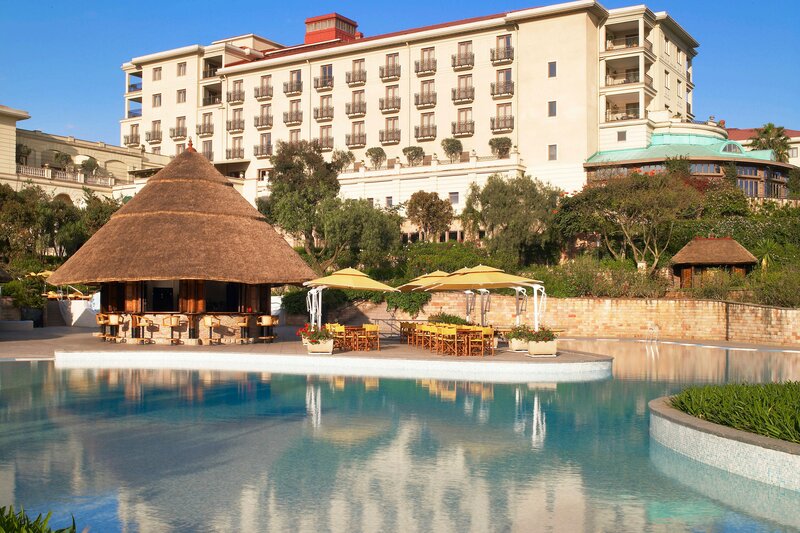 An oasis amidst the sparkling pools, Baywatch soothes your day with indulgent treats and beverages. 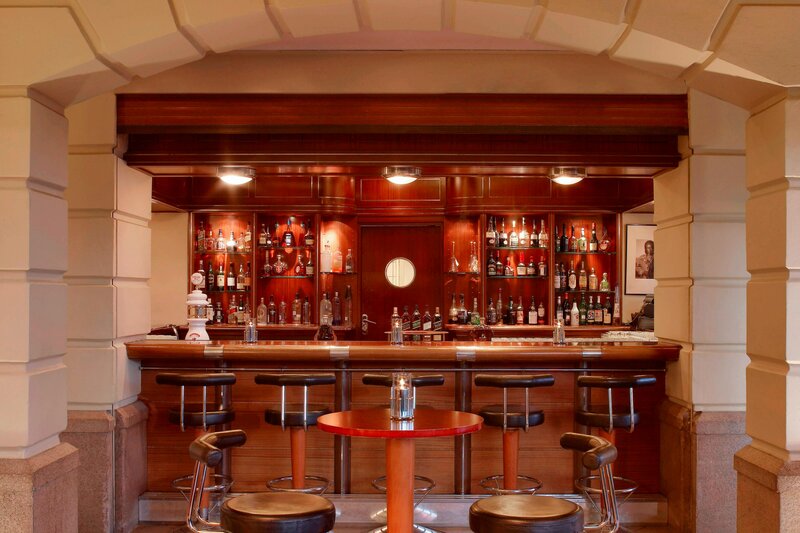 Situated on an island between the swimming pools, the pool bar serves light snacks, ice-creams and a variety of refreshing beverages and cocktails. American-style diner chain with a family-friendly vibe, dishing up steaks, burgers, ribs and wings. Stimulate your taste buds with fresh, world-class cuisine and hand-crafted cocktails at Variety Restaurant and Lounge, boasting an extensive list of fine wines, full bar, and carefully created menus for every occasion.